Here is the progress on my postcard idea. 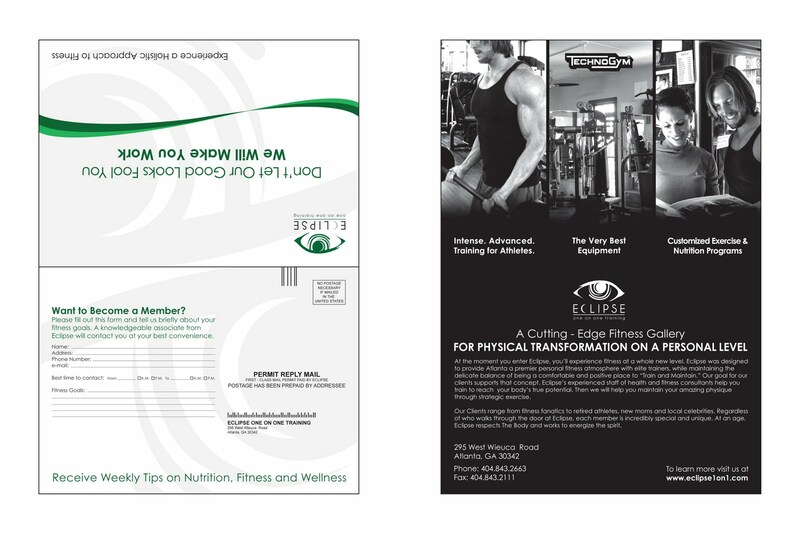 The prospective member can tear the flyer in half and send it in to get an associate to speak with them about joining the gym. 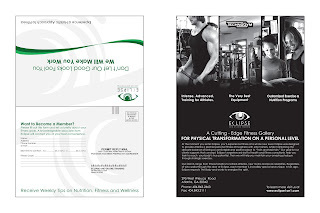 They can discuss details about the services provided, pricing, fitness goals, etc.